Sleek & sophisticated. Capped aluminum body. 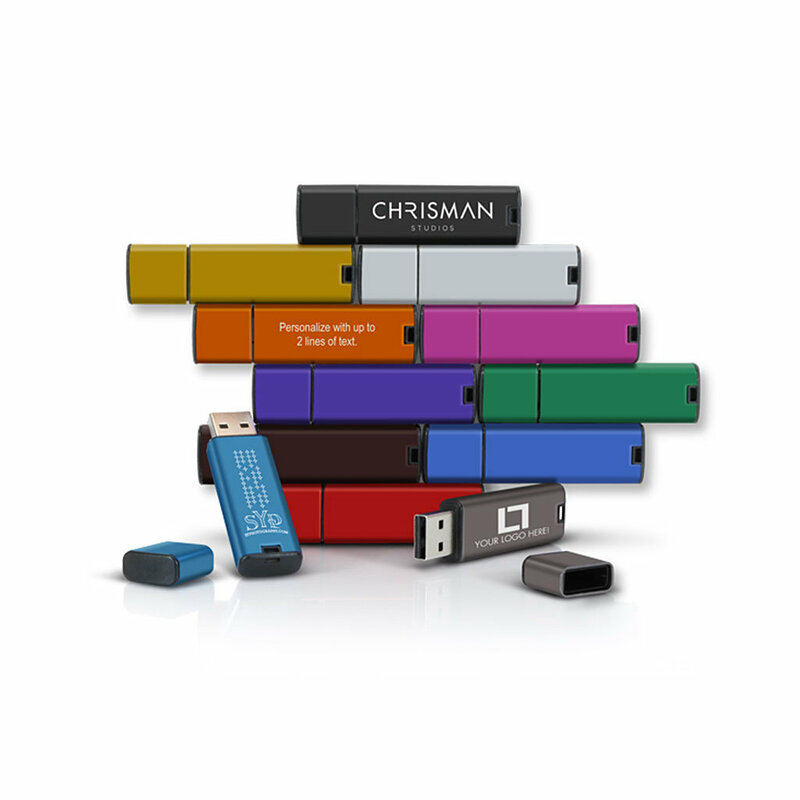 These sleek, sophisticated anodized aluminum drives have a matte finish, a favourite of those who prefer a metallic look. Available in capacities from 4GB to 64GB. First side laser engraved logo or design, 2nd side with text. Your engraving/text will appear as silver-ish white on the drive.